Washington disappeared together with her granddaughter, Angelica Cassandra Livingston, from their home at Park Place Apartments on Comanchee Trail in West Columbia, South Carolina home on June 10, 2006. Kenneth Andrew Lynch, Washington's live-in boyfriend, went missing with them, as did Washington's vehicle, a tan 2005 Ford Focus with the South Carolina license plate number 682 SEH. A photograph of Lynch is posted with this case summary. Several days after Washington and Angelica disappeared, Lynch was cited for speeding in El Paso, Texas while driving Washington's car. He was alone. Around that time, he withdrew all the money from his bank account using an ATM. In August 2006, Lynch was arrested in Seattle, Washington while trying to cross the border into Canada in a bus. He was charged with grand larceny for stealing Washington's vehicle, which was parked near the bus stop with the license plate removed. Although he claimed Washington had given him the car, prior to her disappearance she had never allowed him to even drive it. After his arrest, Lynch refused to cooperate in the investigation into Washington and Angelica's disappearances. In September, a month after he was apprehended, investigators announced they believed Washington and Angelica were murdered and their apartment was considered to be a crime scene. Angelica's blood was smeared on the apartment's carpet, some of it mixed with Lynch's blood. 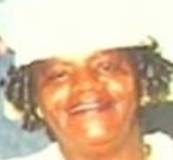 In June 2008, two years after Angelica and Washington disappeared, Lynch was charged with both their murders. Authorities had been considering filing charges since shortly after the females went missing, but delayed in hopes of getting more evidence. He was still incarcerated for the car theft when he was charged with murder. Physical evidence links Lynch to the disappearances. Washington and Angelica's relatives described Washington as a reliable, churchgoing woman and devoted to her granddaughter; she slept on a mattress on the floor and so Angelica could have a bed. They described Lynch as abusive; Washington allegedly told them he had turned her life into a "hellhole." She had kept current on all her bills before her disappearance, but after June 2006, never paid another one. Lynch waived his right to a jury trial and was tried before a judge in the spring of 2012. In May, he was convicted of both murders and sentenced to life in prison; he could have faced the death penalty. Foul play is suspected in Washington and Angelica's cases due to the circumstances involved. Their bodies have never been found. Updated 5 times since October 12, 2004. Last updated December 13, 2018; picture added.